Our Medi Spa offers a variety of injectables to suit your needs. Our experienced Nurse Practioner Sahalia Rashid can you help decide which is best for you. 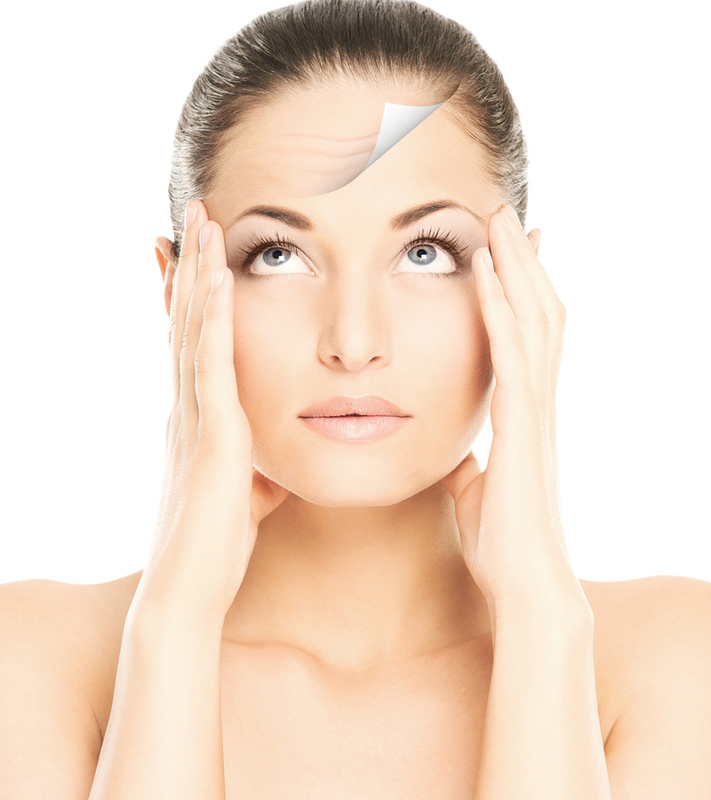 BOTOX: $7.20 | DYSPORT: $6.60 | FILLERS starting at just $232 for 1/2 syringe. Free consults. 20% off your first visit! Stay tuned for frequent special discounted offers. Our Medi Spa offers a variety of injectables to suit your needs. Our experienced Nurse Practioner can you help decide which is best for you. Numbing Is Provided For Free! Fast acting combination of lidocaine, benzocaine and tetracaine. It is recommended to dilute botox with saline solution 1 to 1. We strictly follow these guidelines and use only the best brand name products. We believe in patient education and include you in all the decision making. It is possible to dilute Botox and Dysport 2 to 1 and we do not believe in this practise. We are dedicated to helping you achieve you best and most natural look in a safe and ethical way. Botox works by blocking nerve signals to the muscles, thus relaxing them and stopping them from contracting. It is a non-invasive, painless way to get rid of wrinkles, and even prevent future wrinkling. Your appointment is generally around 15 minutes long, with results starting to show anywhere from 3-7 days after the treatment. Is there any down time after getting Botox? There is aboslutely no down time after getting Botox. You are free to wear makeup and resume your daily scheduled activity. The only restriction is we need you to stay up and about, and not lie down for 4 hours following the treatment. Our Nurse Practioner will give you an “Aftercare” paper with more information for after your session. You can also find this paper at the bottom of this web page. How do I know how many "units" I need? The amount of units you need is dependant on the area(s) being treated, and the severity of the wrinkles. At the bottom of this page there are a couple diagrams that give a very broad estimate as to what you would need for each area. Please keep in mind this is just a general estimate, and it varies from person to person. Book a free consultation with our Nurse Practioner and she will be happy to go over every thing with you. Dysport and Botox share the same active ingredient and both do the same thing. Dysport is said to be longer lasting and results are said to show sooner in comparison to Botox. Dysport results are typically apparent within 1-2 days of the treatment. Whether to choose Dysport or Botox is a personal preference. Book a free, no-obligation consultation with our experienced Nurse Practitioner for more information. How Often Can I get Dysport? It is recommended to separate Dysport injection treatments 90 days apart. Are there side effects from Dysport? Most clients experience no pain and can resume their normal daily activities following the treatment. There is a risk of slight headache, nausea, bruising, facial pain, nose or throat irritation, flu-like symptoms. Juvederm is made of hylaronic acid, helping skin to retain its volume and moisture. At our spa we offer the following Juvederm products: Juvederm Ultra Plus XC(Lidocaine) and Juvederm Voluma. Juvederm Ultra Plus XC(Lidocaine) - Perfect for more severe and deeper wrinkles. Juvederm Voluma - Made to give volume to the cheek area as well as other age-related volume loss in adults over 21 years of age. How many fillers do I need? Depending on the area(s) being treated, the filler amount would be different for everyone. Some people need as little as ½ a syringe. In most cases, the same product can be used to treat multiple areas. If you buy 1 syringe and don’t finish it, we can store it in a box with your name, in a locked fridge that only the Nurse Practioner has access to. You can then book an appointment to come finish the rest at any time with no added charge. If you need more than 1 syringe in 1 session at our Spa, we offer the 2nd syringe deeply discounted. Is there any downtime or side effects? Following your appointment you may experience slight swelling or redness to the treated areas. This will decrease throughout the day, and should be fully gone within the first 24-48 hours. It is preferred if you don't wear makeup after the treatment, but you still can if you need to. Our Spa will give you an "Aftercare" paper to guide you on the Do's and Don'ts after your treatment. Revanesse is a Canadian-made line of hylaronic acid dermal fillers designed to smooth the appearance of wrinkles and fine lines, as well as volumize the face. It can also be used to contour and revitalize the skin. All Revanesse products are completely free of animal products, reducing the risk of an allergic reaction. At our spa we offer: Revanesse Ultra, Revanesse Pure and Revanesse Contour. Revanesse Ultra - Great for Lips, Nasolabial folds and Marionette lines, Crows feet and Glabellar folds. Revanesse Pure - Perfect for hands that have a deflated/wrinkled look and need some smoothening out and volume. Pure has special ingredients in it to help moisturize the entire surface of the skin as it is quickly absorbed. It also helps to restore elasticity for firm, healthy looking skin. Following your appointment you may experience slight swelling or redness to the treated areas. This will decrease throughout the day, and should be fully gone within the first 24-48 hours. It is preferred if you don’t wear makeup after the treatment, but you still can if you need to. Our Spa will give you an "Aftercare" paper to guide you on the Do’s and Don’ts after your treatment. Results are instant and can last up to 2 years. Everyone's body metabolizes products differently, but on average clients come for touch-ups every 8-12 months. Who is legally allowed to administer cosmetic injections in Ontario? In Ontario, Nurse Practioners are allowed to buy and treat patients with cosmetic injections. They do not need to be overseen by a Doctor. Registered Nurses are also allowed to administer the treatment to the patient, but he/she must be under the supervision of a Doctor. For any concerns regarding Nurse Practioners' Scope of Practice and capabilities, feel free to call The College of Nurses at 416-928-0900.
Who will be performing the treatment on me at Spa Namaste? Our very experienced Nurse Practioner, Sahalia Rashid will be performing all cosmetic injectables treatments at our spa. Click here for more information about Sahalia. What happens if I don’t finish all of my purchased injection product? It is okay if you don't finish it all up in one visit. Our Nurse Practioner will put your product back into it's box, with your information on the box, and store it in our locked injection fridge. Only Sahalia has access to this fridge, and you can book an appointment at any time to finish it up, free of charge. How do I know which dermal filler I should use? Trying to decide between which brand to go with is a personal preference. Juvederm and Revanesse are extremely similar. They have both been FDA approved and tested over and over again for safety. You will notice that Juvederm is more expensive than Revanesse at every spa. This is because Juvederm is the leading brand, very established and known worldwide. Revanesse is a Canadian company and is not available in U.S.A., making it less popular. The price however, does not reflect on the quality of Revanesse, as you will find mixed reviews of which one is better of the two. Brands aside, there are different fillers available within each brand. These fillers are similar with some minor differences, making them great for specific areas to treat. Some filler products within each brand, perform better used in different areas. This can all be discussed with our Nurse Practioner and she can help you decide which filler would be best for you. The space between the eyebrows. Small wrinkles from the outer corner of the eye. Vertical lines that travel from the side of the mouth onto the chin. "Laugh Lines" or "Smile Lines" around the mouth. Sunken area under the eyes, sometimes referred to as "bags". Consultations are always free and there is no obligation to go forward with any treatment. Feel free to book an appointment for treatment or a free consultation with our experienced Nurse Practioner. Please arrive 15 minutes early to fill out health history forms. You can also print the forms here and bring them in with you. To avoid bruising, it is best not to take any anti-inflammatory medication or pain relievers that are blood thinners such as Aspirin, Tylenol, Advil or Motrin. Avoid the following vitamins & supplements: Vitamin E, Fish Oil, Omega 3 fatty acids, Ginkgo Biloba, Garlic. Ginger, Cayennes, Licorice, Flax seed oil, and COQ10. Avoid drinking alcohol a few days before treatment since it, too, is a blood thinner. If you have a history of cold sores (Perioral Herpes) the doctor will prescribe a medication for you to start the day before or the day of the treatment. If you have a tendancy to bruise easily, start taking Arnica Montana, an oral. Avoid facials, peels, micro-dermabrasion, dental treatment, "face down" massages for two weeks.